Finding the perfect gift for a wine lover can be pretty intimidating, especially if you’re not much of a wine person yourself. Luckily, you don’t need to be able to tell a Cabernet Sauvignon from a Chardonnay to find a memorable gift for the wine aficionado in your life. In fact, we have a few unique ideas just for you. A wine tasting tour around the Santa Ynez Valley makes for a memorable birthday. Whether you book a weekend away or live close by, you can spend the day traveling around the beautiful back roads of Los Olivos, Solvang, and Santa Ynez in true luxury. Not only does a wine tour make for gorgeous scenery, you get to enjoy the complete pamper experience while learning all about the best wineries around, complete with a knowledgeable and friendly chauffeur who will pick you up and drop you off at your location so there’s no need to worry about drinking and driving or getting lost! Wine tours with Silk Road Transportation mean you don’t have to share a vehicle with anyone else, making for a truly personal gift. You can even choose the wineries you want to visit or let us craft an itinerary that includes private wineries and full vineyards just for your party. 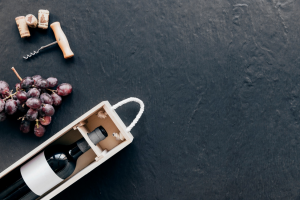 To ensure your wine tasting adventures are truly unforgettable, we’ll even include a vintner’s production tour, catered picnic lunch, and a complimentary charcuterie platter. Want something extra-special? We’re happy to discuss upgrading to a limousine or party bus for a one-of-a-kind birthday experience. The birthday celebrations don’t have to stop with daytime wine tasting. You can carry on partying into the night, in style, with safe and secure night-out transportation. It’s a great way to explore Santa Barbara and the Santa Ynez Valley, complete with round-trip transportation in a luxury limousine or an ultra-fun party bus. Let Silk Road Transportation help the wine lover in your life celebrate their birthday in truly luxurious style. Find out more about our offers today.